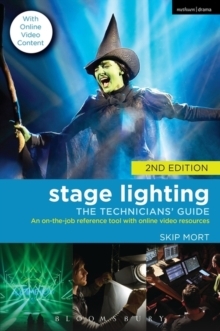 This practical guide covers all aspects of stage lighting equipment, special effects, lighting a performance space and lighting design. It is well illustrated with examples of equipment, diagrams, plans and technical data. It also features the work of current lighting designers. The associated video content shows the practical use of equipment and different lighting techniques and effects. It provides easy access to the content through the use of tabulated sections and keyword headings. The information in each chapter is presented at three levels which run visually throughout the guide enabling students to mix and match their own personal level of study or for practitioners to fast track through to the information they need on stage. This new and revised second edition brings the guide right up to date, and includes all new material on the development of LED lighting in recent years, as well as online video resources.